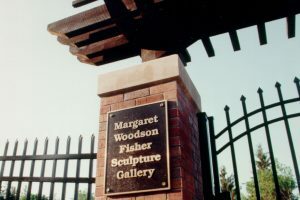 The 1.5-acre Margaret Woodson Fisher Outdoor Sculpture Gallery is an extension of the Leigh Yawkey Woodson Art Museum located in Wausau, Wisconsin. 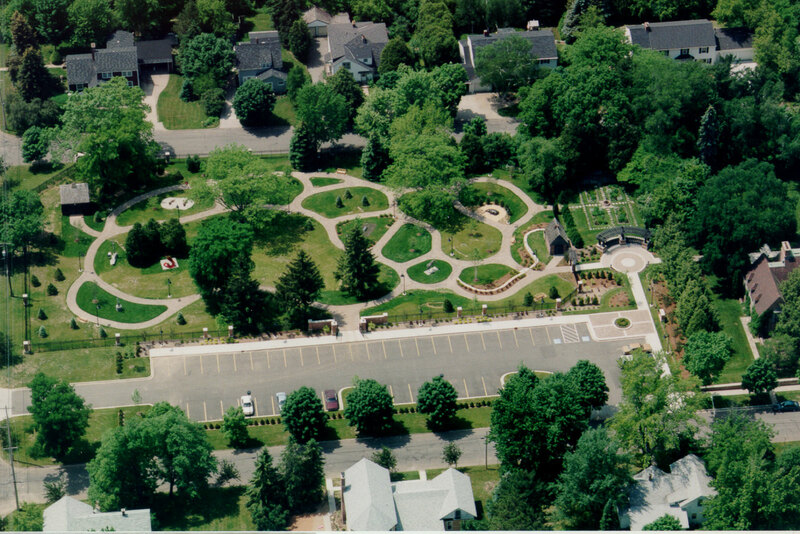 The $500,000 outdoor gallery provides a unique opportunity for the museum to expand its educational programs, outdoor exhibits and special events i.e. outdoor concerts in the summer and ice sculpting in the winter. 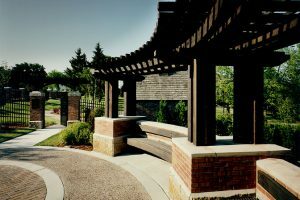 The outdoor gallery has an ADA accessible brick path that meanders through the space providing different venues for observing the sculpture exhibits. The network of pathways creates up to thirty areas for sculpture locations with the ability to manipulate the landscape to meet the needs of each artwork. 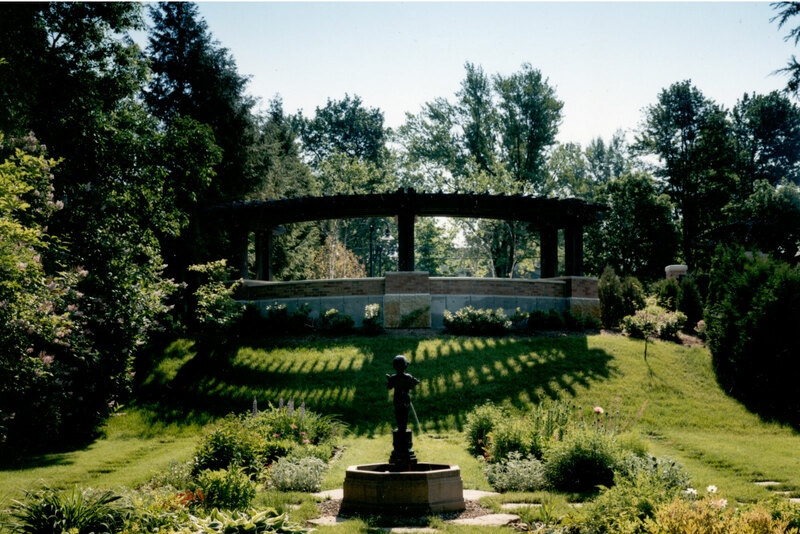 Highlights of the sculpture gallery include a curvilinear arbor with brick and stone seatwall, which overlooks an existing perennial garden. The arbor/seatwall creates a gathering place for tour groups before entering the museum grounds. The materials used throughout the outdoor gallery are in keeping with the existing museum building and reflect sensitivity to it’s surrounding residential neighbors. 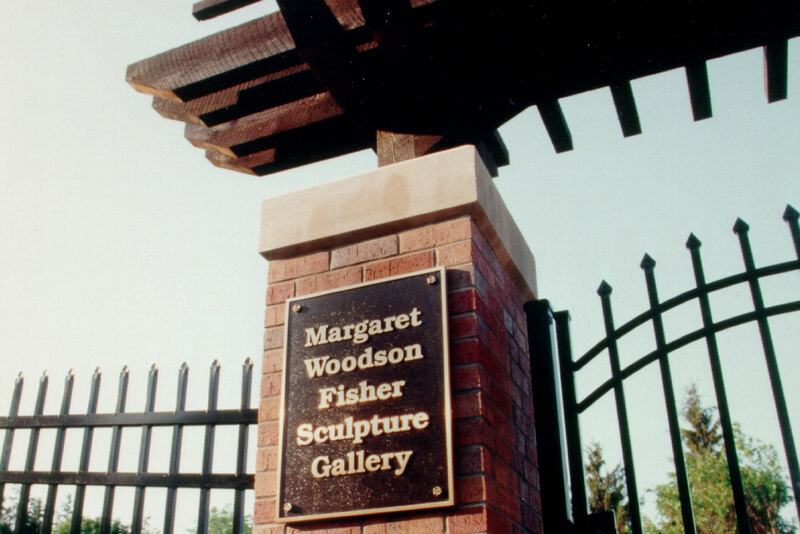 Since its dedication in 1993, the Margaret Woodson Fisher Sculpture Gallery has been host to several rotating exhibits. Prominent sculptors who have had their works on display within these exhibits have been Deborah Butterfield, Fletcher Benton, Elyn Zimmerman, and Kent Ullberg to name a few. The sculpture garden project has subsequently been recognized with awards from the American Society of Landscape Architects and noted as one of Briggs and Stratton’s Top 10 Lawns. 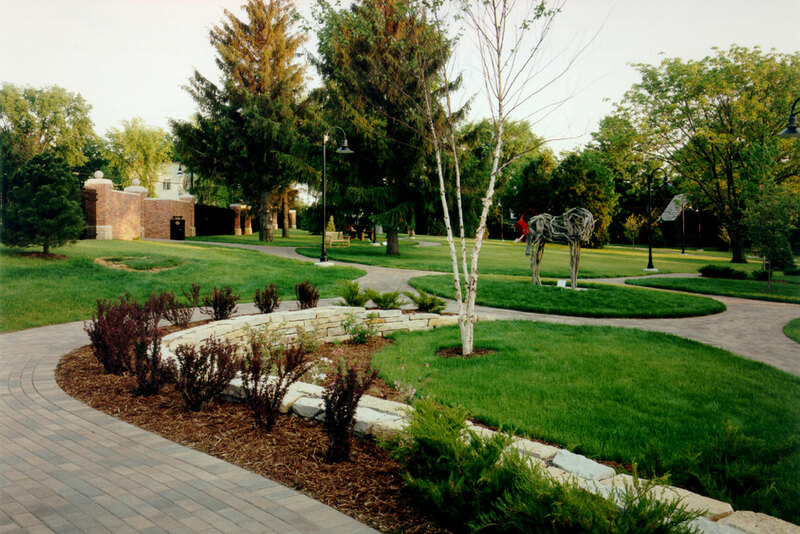 The Museum addition was recognized as a Wisconsin Golden Trowel Award winner.